Recently our Hyegraph clients ordered these Custom Canadian Passport Invitations from us along with Custom Canadian Flag Envelopes. The invitation turned out amazingly authentic. The cover of the dark blue passport is gold foil stamped. The inside of the jacket is printed with the actual photo of our clients. The card stock is very thick and heavy weight contributing to the authentic look and feel of the card. 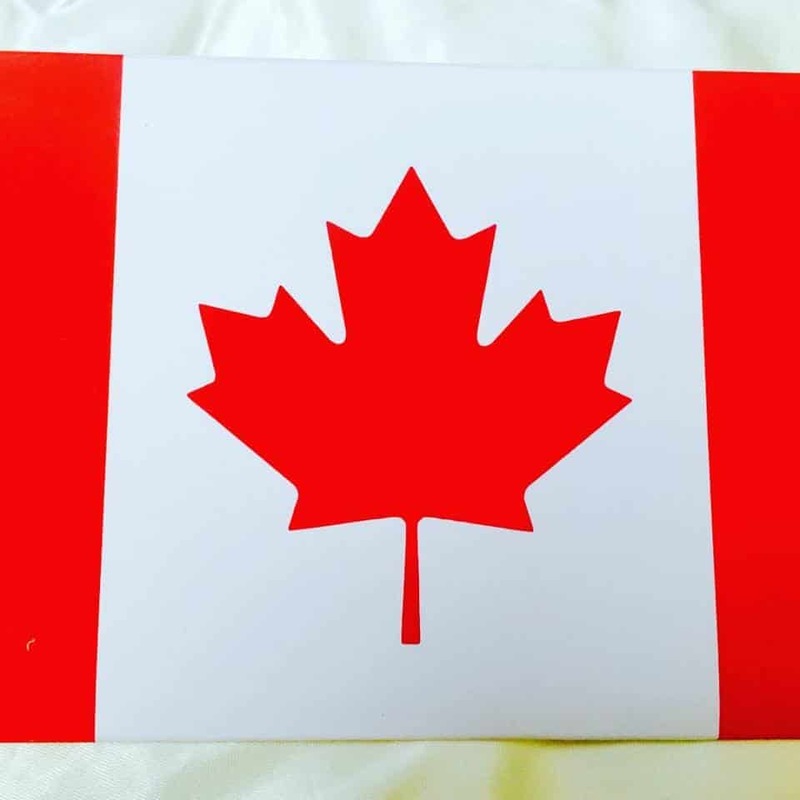 The envelope matches with the Red Maple Leaf Flag. 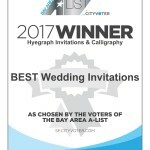 You can see more designs at Hyegraph Invitations & Calligraphy, check out or blog or shop online. 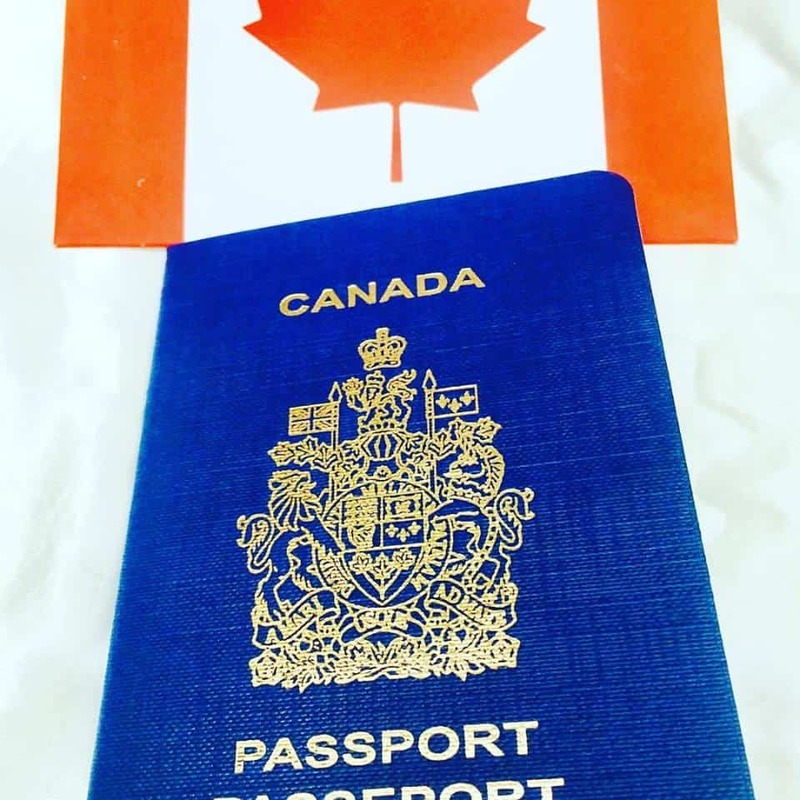 The above example illustrates a beautiful and unique invitation card idea embellished with the Canadian crest and the bright red and white Canadian Flag printed on the passport envelope. Our clients were very pleased with their custom passport invites. The Canadian Envelope above is rich and bright adorned with the Maple Leaf motif of Canada. It is perfect to envelop the custom passport invitation. Please see our Wedding Invitations Page or Shop Online. 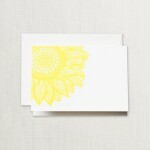 Also check out our Calligraphy Styles for Invitation Envelope Addressing. You can see more Custom Passport Save the Dates & Passport Wedding Invitations on our blog. See our Happy Customers on Yelp and Google. The best way to create unique invites is to work together with a team like the one at Hyegraph Invitaitons & Calligraphy where we’ve been working with stationery for over 30 years. You can come in with ideas or just browse and we can use original artwork or something you’re inspired by to create the unique look that sets your invite apart and will please your guests. The best part is you can do it again for your next special event. Please come in to Hyegraph San Francisco, California located at 3 Embarcadero Center. Make An Appointment for a FREE CONSULTATION or call us at 415-626-0461.